Call us today and we’ll get your problem taken care of. 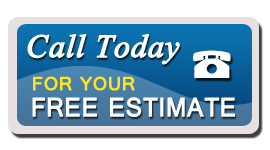 When you decide to call Emergency Plumbers Chicago for your plumbing repair you are choosing a company that is dedicated to providing the best, most reliable plumbing services you can find in the area. We have a reputation for excellence that we’ve worked hard to earn, and we’ve done it one customer and one job at a time. Our job starts the minute you call us on the phone to see if we can help, so we make sure that you can talk to us quickly and we’ll set up an appointment that’s convenient to your schedule. Our plumbers will arrive on time, assess your problem and get right to work so that you can get things in your life back to normal. Needing plumbing repair work done is never fun, but it’s a lot easier when you know that you have a plumber who you can count on to take care of the job quickly and well. That’s what our customers count on, and you can count on us too.